Egypt has confirmed that it will permanently open the Rafah border crossing that is between Egypt and Palestine. The European Union and Hamas have welcomed this move. Gaza’s Hamas movement welcomed this move saying it was,”a courageous and responsible decision which falls in line with Palestinian and Egyptian public opinion” spokesman Fawzi Barhum said in a statement. The European Union has also welcomed this lift and said it would start its consultations with Egypt, Palestinians and Israel about returning its team of advisers to monitor activity along the border. The borders where closed since 2006 by then Egyptian President Hosni Mubarak who was thrown out of office this year by nation wide protests. “This new Cairo spring is bearing fruit such as the Rafah opening and efforts to end the blockade,” said Nabil Shaath, a senior Fatah official on a visit to the Gaza Strip. 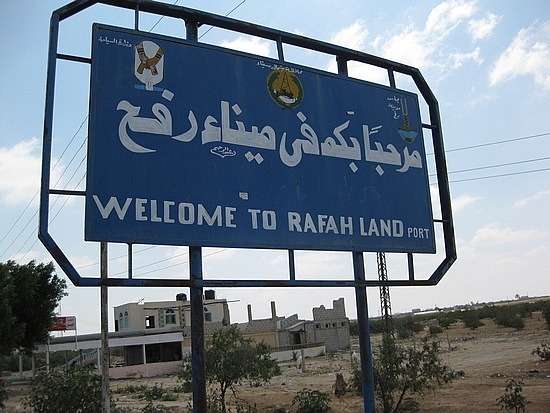 The measure, which is due to come into force on Saturday, give Gazans a gateway to the world as Rafah is the only crossing which does not pass through Israel. The crossing is to open for eight hours a day from 9:00 am, apart from Fridays and holidays, with an Egyptian security official telling AFP it would be for people only, not for the passage of goods. French Muslims faces tough Job Search,a study reveals!